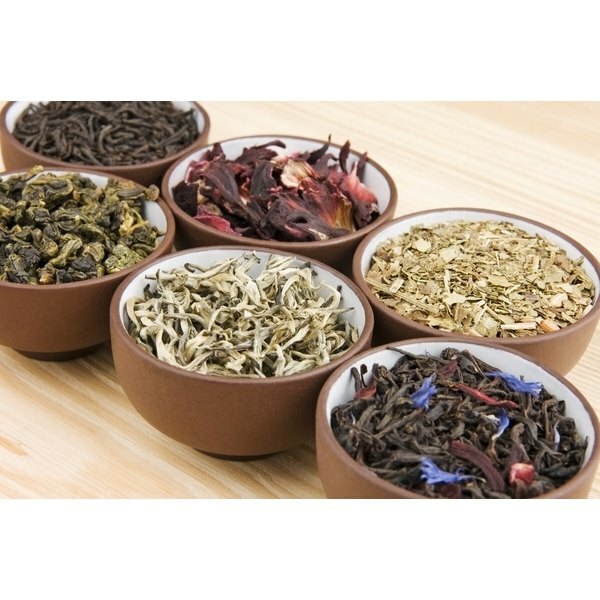 Passionflower, valerian root, chamomile and magnolia bark can all be used in tea -- either separately or combined with other ingredients -- to promote a sense of calmness and relaxation. Since some research suggests that each of these ingredients can be safe and effective treatments for individuals with anxiety or insomnia, it stands to reason that they would also promote better sleep and relaxation for others without these conditions. Passionflower is an herb that's used for both anxiety and insomnia. One theory that may explain these effects is that passionflower boosts the production of the amino acid gamma aminobutyric acid, or GABA, in the brain, which may reduce the action of some brain cells and promote a sense of calm. University of Maryland Medical Center notes that passionflower is typically combined with other calming herbs, which makes it more difficult to quantify its effects on sleep and relaxation. However, one 2001 study published in the “Journal of Clinical Pharmacy and Therapeutics” concluded that passionflower is effective in managing the symptoms of generalized anxiety disorder. Valerian root is used to produce different types of medicine, including sleep aids. Like many herbal sleep remedies, it is often used in conjunction with other herbs and ingredients that have similar effects. MedlinePlus rates valerian as “possibly effective” for the treatment of insomnia, but also rates it as having “Insufficient evidence” for the treatment of anxiety disorder. A 2006 meta-analysis published in “The American Journal of Medicine” that reviewed 16 studies concluded that valerian can help promote better sleep without causing side effects. The National Center for Alternative and Complementary Medicine notes that chamomile is used as a therapy for a variety of health conditions, including anxiety and insomnia. The first controlled clinical trial of chamomile extract for generalized anxiety disorder was published in a 2009 issue of the “Journal of Clinical Psychopharmacology.” The study, which was conducted on 61 participants over an eight-week period, concluded that chamomile may produce a mild anxiety-inhibiting effect on patients with mild to moderate generalized anxiety disorder. Magnolia bark has been used in Asia to treat anxiety and nervousness disorders. Magnolia bark may also possess sleep-promoting properties, which was demonstrated in a 2012 study published in “Neuropharmacology.” The study found that magnolol -- the main bioactive component of magnolia bark -- was effective in increasing sleep in mice. How Much Valerian Root for Anxiety?